Collects Captain America (1968) #169-176. 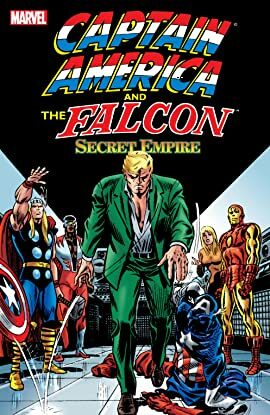 The Secret Empire was rarely more secretive or empirical than in this classic arc that sets Cap against a conspiracy out to frame and replace him in the American mind! And pay close attention to the man behind the curtain (or mask, as the case may be)! 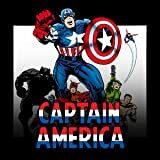 Corruption and cover-ups conclude with Cap quitting the Avengers, paving the way for his days as Nomad! With Nick Fury, the Black Panther, and Banshee! Guest-starring the X-Men (back before it was cool)! Featuring an early re-telling of Cap's origin!